The visual and objective data that I have been getting from my GebioMized pressure mapping system has been as valuable or more than any tool I use in my bike fit. It is invaluable in finding a cyclists optimal position. It is also becoming one of my favorite objective tools in my Physical Therapy (Physio) practice. Cyclefit was founded over 10 years ago, becoming one of Europe’s first centres dedicated to bike fitting, cycling biomechanics and analysis. We now work with a range of athletes from amateur to World Tour level, including the Trek Factory Racing pro team with riders such as Fabian Cancellara and the Schleck brothers. Cyclefit believes that the skill and experience of the bike fit technician is the most important aspect of any process. In the right hands, technology compliments this skill and experience to provide a greater insight. GebioMized technology provides us with a new perspective in terms of how an athlete is interacting with their equipment, facilitating refined adjustments in saddle and pad position, rider posture, shoe and cleat setup to find the optimum balance between comfort, sustainability and power. Pressure mapping also helps us to identify previously unseen opportunities to improve performance. GebioMized is now an integral part of Cyclefit’s analysis tools. LOUE bicycles head bikefitter and engineer Timothy Lim has been using the gebioMized saddle pressure analysis system since August 2013. The pressure system is essential to bikefitting as it allows the client and the fitter both to see the client’s pressure profile. This is important as it gives an illustrated view of how the client feels, and he or she can confirm the result. From a bikefitter’s perspective, the saddle pressure system allows me to analyse saddle position (height/fore/aft/tilt), how the client sits on the saddle, how saddle pressure changes with different hand positions and elevations among many other important information. It serves as a tool for validating a positive/negative saddle choice, and gives me sufficient information to advise clients on the right choice of saddle and fit it in the right position. The foot pressure analysis shows the client and this fitter how the foot-pedal interface behaves in each pedal stroke. An excellent tool for correct cleat positioning and sorting out foot support requirements. Definitely looking forward to using the MTB grip and aero pad pressure system as well as GPCyclePRO. GebioMized’s pressure systems have added enormous value and accuracy to our cycling analysis protocol. Pressure analysis gives the cycling analysis professional an objective look into the rider’s interface with his or her contact points and shows how they effect the rider’s performance. The data obtained from these tools acts not only as a guide for precise optimization of a cyclist’s fit but also helps in the implementation of preventative fitting strategies. gebioMized is the foundation of the premier services that we offer at Cyclologic and is a key analytical tool to keep us at the forefront of the cycling analysis field. gebioMized’s pressure analysis tools and custom components have provided definitive evidence that both the cycling analysis professional and the client can see and feel. In short I now fit from the inside out rather than the outside in. Thank You to the Sport’s Scientists at gebioMized in Munster, Germany! The gebiomized pressure mapping systems are an invaluable tool in our bike fitting process. The ability to capture kinetic data provides us with meaningful information about how the cyclist interacts with the saddle and shoe/pedal contact points. This information is not only useful in equipment selection but also provides a level of information not otherwise available of the effects of changes to the fit position and insights into how it might be further improved. In this way we are able to provide evidenced based fitting solutions to our clients rather than relying solely on qualitative observation and feedback. Gebiomized saddle and foot pressure sensors have been a game changer for our bike fits and cycling analysis. We no longer guess how a client’s body responds to a fit, therefore, the client and bike fitter have more confidence in the bike fit changes. We are able to get instant feedback on how the body interacts with changes in bike fit. It also helps us with rehab and exercises as we use the technology to diagnose dysfunction on the bike. Working with the pressure mapping technology for solving problems in the soft tissue areas on the saddle: Biomechanical patterns is one leg of the chair and stability on the saddle is definitially the other. If the position is not stable it really can not work on the bike, and pressure on the saddle affect the whole posture and position of the rider. Saddle issues are definitely not only an issue on aero positioning! The saddle pressure analysing software also help the customer to understand what is going on and why the correct saddle is so crucial. GP Bike is an essential tool for saddle positioning, selection, and pedaling analysis. 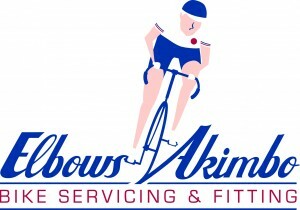 I am able to quickly diagnose saddle pressure distribution problems, pedaling asymmetries, and pelvic anomalies. Improvements are measured objectively, which improves confidence and client satisfaction. The majority of my clients are Triathletes, and GP Bike ensures a proper saddle position/tilt, to ensure the highest level of comfort and aerodynamics in competition. 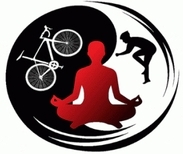 I see in my sportsmedical practice SMA Midden Nederland in Amersfoort lots of cyclists and triathletes having problems or injuries due to a suboptimal bikeposition. In the years that I am doing bike positioning analysis I was always searching for the best systems on the market to work with and to help my customers. Since the partnership with GebioMized the bike positioning analysis has reached a very high quality level. And in a very strong cooperation with GebioMized we are still developing the tools and analysis methods. I am also very proud to host the Fit-School also in my practice this year! In that way we can teach this methods to other bikefitters. My partnership with Gebiomized brings the Bike Positioning Analysis to a higher standard. Pressure matters! Die richtige Sitzposition auf dem Rad ist elementar für eine hohe Effizienz und Komfort. Bei einem Bike-Fitting werden die Einstellungen von Experten vorgenommen, die neben viel Erfahrung auch verschiedene Technologien einsetzen. Eine der besten Möglichkeiten, die Sitzposition zu optimieren, ist der gleichzeitige Einsatz eines Bewegungsanalysesystems mit einer dynamischen Satteldruckanalyse. Mit einem Video- oder Markersystem kann die Biomechanik und Hebelverhältnisse des Sportlers überprüft werden. Allerdings ist oft nicht klar, ob der Sattel die richtige Neigung hat oder der Radfahrer die Fläche des Sattels ausnutzt. Mit Hilfe der Satteldruckanalyse wird dieser Aspekt objektivierbar und Fehleinschätzungen werden vermieden. Besonders Athleten, die große Sitzprobleme haben, können davon profitieren. Die Satteldruckanalyse kann dazu dienen, den passenden Sattel und die richtige Einstellung zu finden. Auch ein Maßsattel ist möglich. Es gibt kaum andere Methoden, den Sitzkomfort exakt zu bestimmen. Ich arbeite schon seit vielen Jahren mit der Satteldruckanalyse und möchte nicht mehr darauf verzichten. Die Sattel- und Fußdruckmessung unterstützt mich sehr gut im Bikefittingprozeß. Ich sehe Veränderungen der Position, des Sattel und der Cleats sofort. Die Lokalisation und Beschreibung des Empfindens fällt nicht jedem Fahrer leicht. Gemeinsam können am Bildschirm die Problemzonen oder Effekte gut besprochen werden. Verschiedene Sattelformen und deren Auswirkungen werden sehr gut dargestellt. So kann ich in kurzer Zeit eine deutlich bessere Empfehlung eines Sattelmodells geben, als mit anderen Systemen. Een aantal jaren terug had ik de eer en het genoegen Daniel Schade van gebioMized te ontmoeten en kennis te maken met hun druk analyse systeem voor het zadel en de schoenen. Als trainer van wielrenners en triatleten van allerlei pluimage was ik lange tijd op zoek naar betrouwbare en nauwkeurige meetinstrumenten voor het optimaliseren van de zithouding op de fiets. GebioMized kon me hierbij zeker helpen. Sinds het gebruik hiervan heb ik al heel wat renners en rensters van heel wat klachten kunnen afhelpen en daarnaast hun prestatie sterk doen verbeteren. Dit geeft zeer veel voldoening aan mijn werk. De nuttige informatie die je uit de drukanalyses krijgt helpen me de juiste informatie te geven aan de fietser en bij te sturen waar nodig. Naast het aanpassen en het opzoek gaan naar de meest ideale zit op de fiets geeft het me ook feedback om trainingen bij te sturen. Hoge druk zones op het zadel kan je direct opsporen maar ook de activiteit van het bekken en de krachtoverbrenging op de pedalen zijn duidelijk af te lezen. Een meerwaarde om een analyse te laten uitvoeren voor elke fietser die zichzelf ernstig neemt. Innovative Cycling houdt zich bezig met het leveren van de beste producten op het vlak van fietspostionering aan onze klanten. Sinds 2013 werken we hiervoor ook met de Gebiomized producten en dit naar volle tevredenheid. De systemen waarbij druk op het zadel of in de schoen real time gemeten worden geven een inzicht dat op geen enkele andere manier kan worden verkregen en de effecten van aanpassingen zijn direct zichtbaar. Nu een meer en meer tweewielerspecialisten met de sensoren gaan werken worden we vrijwel wekelijks verrast met positieve feedback en merken we dat de gebruikers de sensoren meer een meer inzetten. Al met al een techniek die een enorme meerwaarde biedt voor elke fietser. De combinatie van videoanalyse, zadeldruk en voetdrukmetingen geeft mij veel mogelijkheden in het optimaliseren van de fietspositie voor zowel de race, mountain en tijdritfiets. De toevoeging van zadeldruk, zorgt voor een gerichter zadeladvies met het oog op zowel blessurepreventie als prestatieoptimalisatie. De voetdrukmetingen maken het mogelijk om het contactpunt voet-pedaal optimaal af te stellen en zo de krachtoverdracht nog efficiënter te maken. Ook het selecteren van de ideale fietsschoen kan goed met de voetdrukmetingen.Daarnaast zorgt de mogelijkheid van het aanmeten van custom-zadels en zolen ervoor, dat je een heel breed scala aan mogelijkheden hebt om klachten op te lossen of prestaties te optimaliseren. Nu ik al weer tien jaar werkzaam ben als orthopedisch technicus, heb ik besloten van mijn hobby mijn werk te maken. 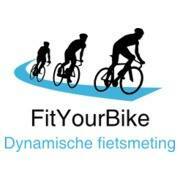 Ik fiets zelf 15000 kilometer op race en cyclecrosser. Met de ervaringen uit mijn werk, de afgeronde cursus sportmassage en mijn passie voor wielrennen, sluit bikefitting hier helemaal bij aan. Nadat ik vele systemen vergeleken heb met elkaar, heb ik uiteindelijk gekozen voor die van Gebiomized. Het systeem kent vele mogelijkheden en maakt het mogelijk het maximale uit de fietsafstelling te halen. De drie contactpunten (stuur, zadel en pedalen) kunnen uiterst nauwkeurig ingesteld worden met behulp van de drukmetingen. Een van de voordelen van dit systeem is het inzichtelijk maken voor de klant. De klant ziet zelf wat het effect is van een wijziging. Je kunt wel zeggen hoe iemand op de fiets zit, maar hij ervaart dat misschien heel anders. Door de beelden te laten zien, kan hij zelf ook zien wat er gebeurd.Zo krijgen bikefitter en klant een nauwe band en komen we tot het beste resultaat. Verder kent Gebiomized een goede opleiding. 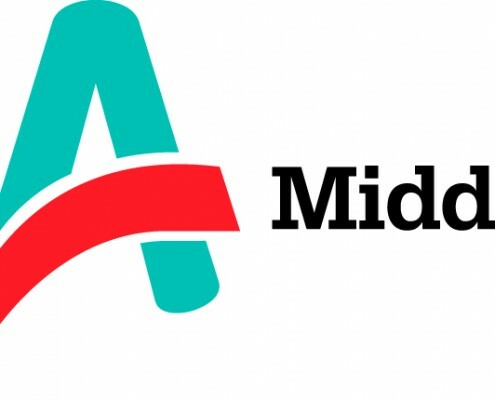 Ik heb nu twee keer een tweedaagse cursus gevolgd in Munster. Daarin werd stap voor stap uitgelegd hoe het systeem werkt en er het maximale uit gehaald kan worden. Verder worden er regelmatig webionairs georganiseerd, waar er ook de gelegenheid is vragen te stellen en ervaringen uit te delen. Of anders wordt er snel gereageerd via de mail. Zo haalt FitYourBike het maximale uit je fietsprestatie!! !